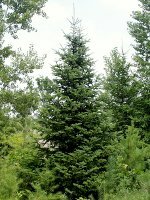 Grand Fir is a large, coniferous evergreen native to the Pacific Northwest of North America. 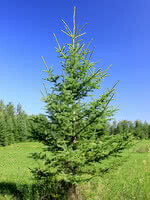 Closely related to the White Fir, this tree has glossy green, needle-like leaves with notched ends. 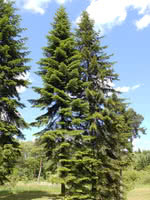 A tall, majestic tree, Grand Fir grows best in drier climates. We currently have no plans to produce the Grand Fir. However, you will find that we are producing a number of quality alternatives.